As a consumer in today’s healthcare system do you often feel that the focus of care is volume instead of value? I do not know about you but often I am left feeling like I am on a mass production assembly line. It is not untypical to have a two hour wait in a doctor’s standing room only waiting room; only to spend 15 minutes max with him/her. Few physicians have the luxury of developing relationships with their patients where they really get to know their full health story and often most people see more than one provider. While strong patient-provider relationships lead to healthier outcomes (Harvard Business Review), few physicians are afforded this luxury. According to the American Health Insurance Plan article “Rising Health Care Cost” the system is not delivering service to correlate with the 2.7 trillion dollars annually spent on health care. Approximately 20-30% is associated with care which is wasteful, redundant or inefficient. So you may ask, what you can do to fix such a broken system. Now, do not get me wrong, this complex problem is going to require a complex solution to repair but each one of us can play a part in the process. Time is a commodity in healthcare and in an emergency it can be the difference between life and death. With having a system that is so fragmented it can become almost impossible for one’s various providers to remain abreast of all your health information. Laboratory, diagnostic scans and x-rays results are only three examples of information that is beneficial for a practitioner to have on your visit. Unfortunately the development of a nationwide database which would enable all facilities to share such information, which was proposed by Eric Schmidt CEO of Google in the summer of 2009, has not come to fruition. So the responsibility of collecting this information is left as a responsibility of you, the patient. To help ensure continuity in care throughout your lifetime, no matter where you geographically may be, health consumers should learn how to compile their own health information. 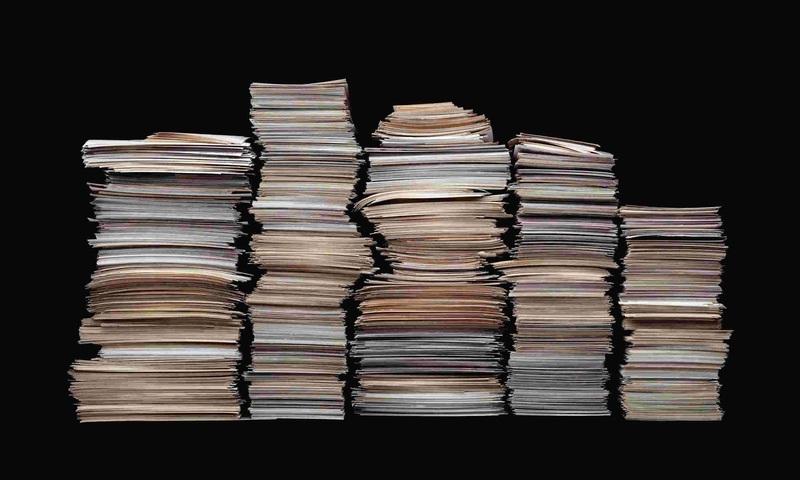 This may seem overwhelming but organizing your records paperless can really simplify the process. The concept of individuals collecting their personal health information has been around for decades, referenced as early as 1956, but in 2000 the switch from paper to a paperless electronic application became trendy. It is important to note that personal health records (PHRs) differ from electronic health records (EHRs). EHRs are a software system used by health care providers and health institutions which are a legal documentation of your care. A PHR is a tool the health consumer can use to collect, track and share their health information but is not considered a legal document. One could view a PHR as a way to take an active role in monitoring your health story to better collaborate your care. There are a couple drawbacks in establishing your PHR and perhaps the primary one is privacy. The manner in which one’s sensitive medical information is stored and shared definitely raises concerns. Reputable data systems follow the best privacy practices but any online based system cannot claim to be 100% fail proof. The fact remains, even with such concerns, PHR’s can save your life in an emergency situation. One such story is that of a woman who had chronicled her medical information on her Facebook page (A women’s Facebook PHR saved her life) and was used by emergency personnel when it was brought to their attention by her son. There are externally devices, one example of this USB Medi-Chip, which might make someone with privacy concerns more comfortable. This would be my preference. The second biggest obstacle is time and commitment. It takes a considerable amount of time to initially begin to document your information and it requires commitment to keep the information updated and current. Updating would require any changes to medications, all diagnostic test results and summaries of medical visits be documented. This may seem like a lot of work but something like knowledge of a medication allergy could be lifesaving if you ever become unable to convey such information yourself. Let there be no question of the importance of medical information availability. Between 210,000 and 400,000 individuals died in the United States in 2013 as a result of medical errors. Stephen Cobb, senior security researcher at ESET North American, believes that access to a patient’s medical record regardless of where they live, where they are being treated and how many physicians they see would reduce accidental deaths due to these errors. Since the likelihood of such a national linked database is slim due to the many privacy issues many feel it poses, the ball is left in your court. Imagine 25 years from now someone asking you questions about your medical history…trying to remember every detail will be like digging through a stack of papers…difficult if not impossible to find. Believe more than likely you will not be able to rely on memory alone. PHRs are the next best thing to sliced cheese and everyone should invest the time to have one. Until next time…start tracking your health information…NAMASTE. Labels are there for a reason...read them!!! !